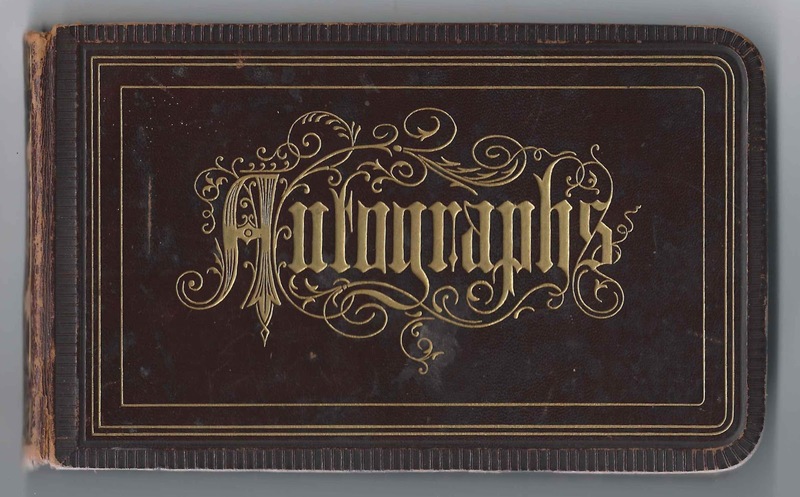 1870s autograph album of Maggie G. Mahoney of Lawrence, Massachusetts. 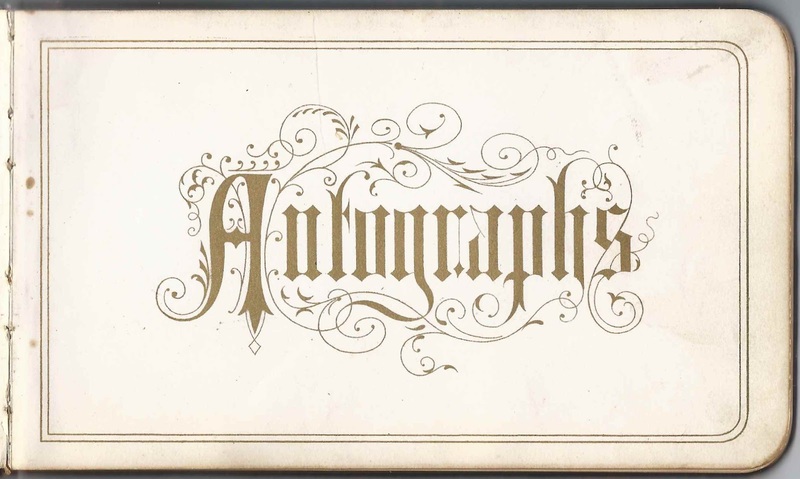 The album was presented to Maggie by her sister Julia at Christmas in 1875. 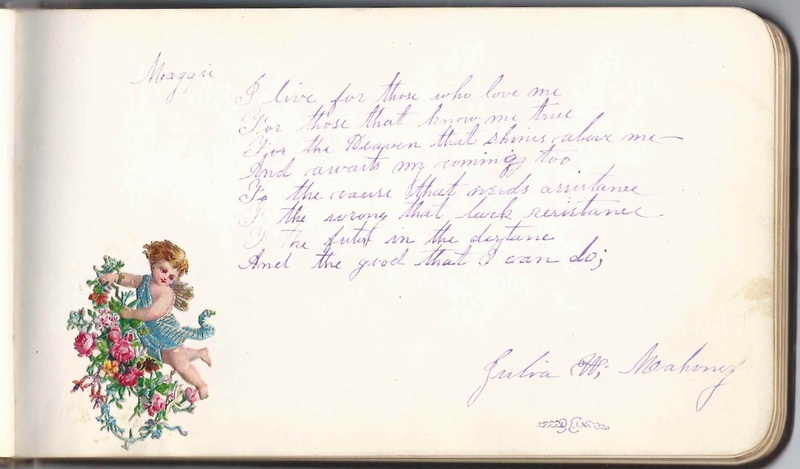 The album is approximately 7" x 4-1/4" and contains the sentiments of over 30 of Maggie's relatives and friends. An alphabetical list of the signers appears at the end of this post. If you have information on a Maggie G. Mahoney of Lawrence, Massachusetts, with a sister Julia, please leave a comment or contact me directly. 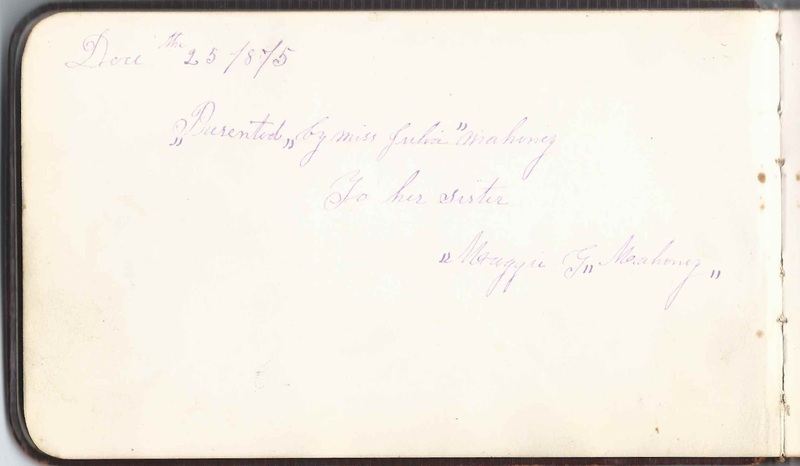 One of the signers was a Julia W. Mahoney, but I don't know if she was Maggie's sister Julia, or another Julia. 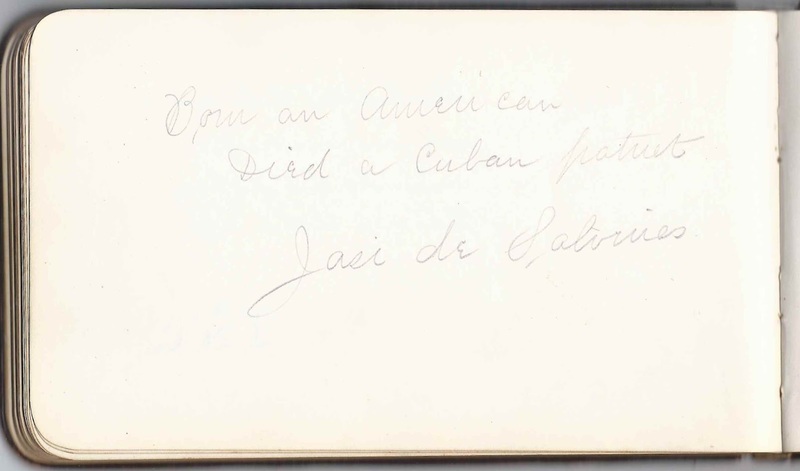 One interesting page was signed by someone whose name appears to be Jasi de [possibly Salvines], who left an intriguing message: Born an American, Died a Cuban patriot". I'm sure there's an interesting story there! Jasi de ?, possibly de Salvines. "Born an American, Died a Cuban patriot"
Ths. Chs. A. B. or Ths. Chs. O. 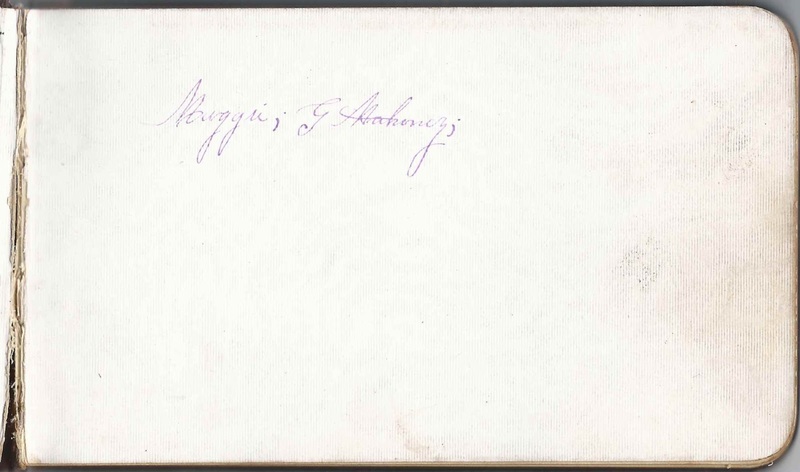 B., signed in 1876; possibly Thomas Charles A. B. or Thomas Charles O'Brien? Julia W. Mahoney, possibly Maggie's sister Julia who presented her with the album, or another person.